Literally my single most, number one, “I’m so worried about this…” concern about having children was the fact that I was terrified of not getting enough sleep. You see, it’s simple. I’m just not a good person when I don’t have enough sleep. And you probably aren’t either. I truly believe that getting enough sleep is one of the most important factors to our health. I don’t think it’s negotiable. Our brains need enough sleep to function properly, and when they go for extended periods of time without sleep, well, pardon the expression but all hell breaks loose. But seriously. So…when I was pregnant, my sister-in-law gave me THIS BOOK for my birthday. And I suppose I can thank her for my sanity and all around general happiness and satisfaction because NO ONE IS HAPPY WHEN THEY DON’T HAVE ENOUGH SLEEP!! The book is pretty small and concise, and didn’t seem overwhelming. And I was right, it wasn’t. Not one bit. In fact, I like to think of it as my mini guide to parenting, because seriously, who even knows what the right or wrong thing to do is unless you have someone who actually has experience take your hand and guide you along? 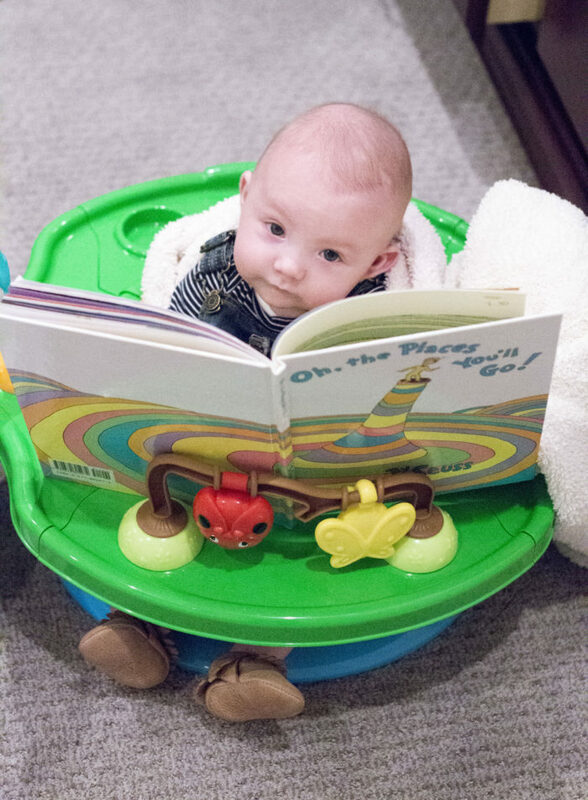 The last thing that a busy new mom has time for is sifting through a 200 page book. This book is SIMPLE. It guides you through step by step. Sleep from about 8:30 pm to 7:45 am. Nap from about 10 am-12 pm AND 2 pm-4 pm. Are happy pretty much all of the time because they are well rested and they feel great. Am a better mom because I’m not sleep deprived. I ENJOY being their mama more than anything I have ever done before, and 95% of the time I am calm and just enjoying them. Can handle stressful situations easily and not get my feathers ruffled. For example, when Goldie threw up EVERYWHERE yesterday (poor baby), I calmly helped her and was able to rationally handle the situation. Tired brains do not rationally handle situations. Tired brains freak out. Play hard with them while they are awake. I don’t feel like I have to constantly multi-task because I know that I’ll be able to get other things done during their nap times. Am a really happy person and I enjoy life. When I don’t sleep, I am not a happy person and I do not enjoy life. Simple as that. I hope THIS BOOK helps you as much as it helped me!! Like I said, I seriously wouldn’t have known where to even start with sleep training had I not had this book. 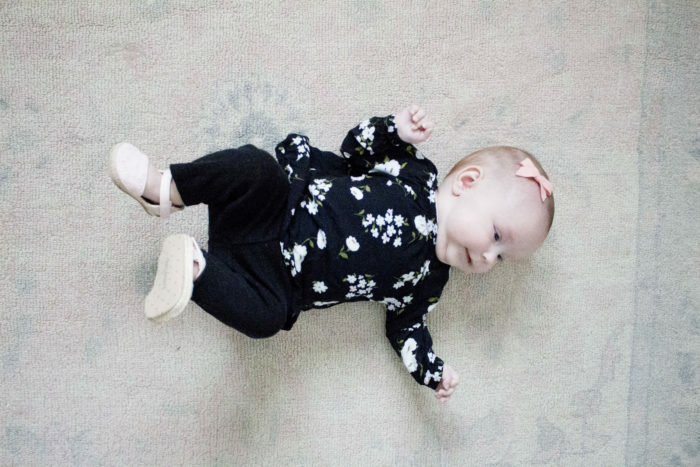 It was painless, I felt I like I had a friend guiding me along the whole time, and I think it’s really important that babies learn how to sleep well because it’s a skill that will benefit them (AND YOU!) throughout their whole childhood. Buy if for yourself, buy it for your daughter, buy it for your friend, buy it for that new mom at church that has bags under her eyes…they’ll thank you and their children will thank you and I think I just created world peace. Do you happen to know the differences in this book compared to Baby Wise? 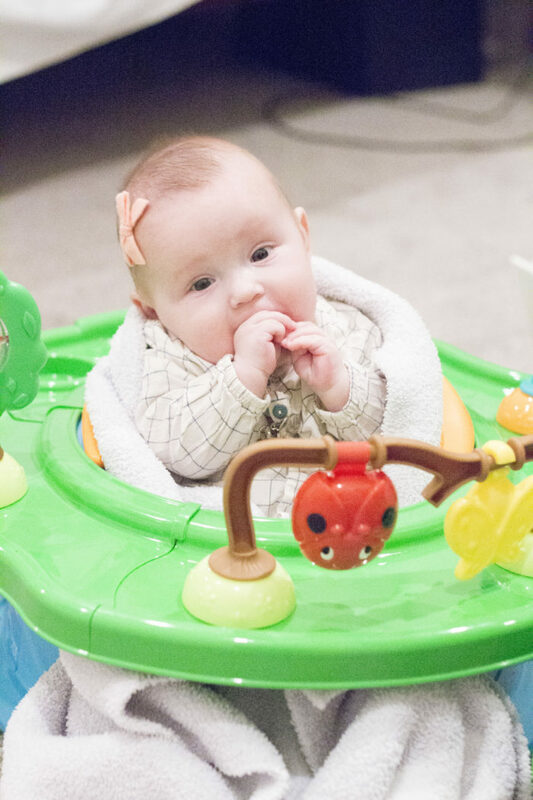 I used baby wise successfully with my son then 21 short months later my daughter was born. I have been trying to do everything the same this time around as well. However since there rooms are right next to one another and we have a tile hallway if I let her fuss for too long at all he wakes up ? (They both have loud sound machines too)she is usually only waking once a night but at 5months old now, I’m longing for a full nights sleep. (Big brother was sleeping through the night at 15wks) every night I am crossing my fingers that “tonight is the night” ? Also, do you watch Ellie and Jared on YouTube? They are also from Utah and just partnered in giving 5 lucky couples a grant for one round of IVF. It made me think of you and I thought you would probably enjoy taking a look at their blog if you are not already aware of it. So sweet! Lindsey – I don’t know the differences because I didn’t read both. I’m sorry, my friend! It sounds like you’re doing all the right things. It’s hard that the sound is what is most likely waking each other up! I Iovs this book! 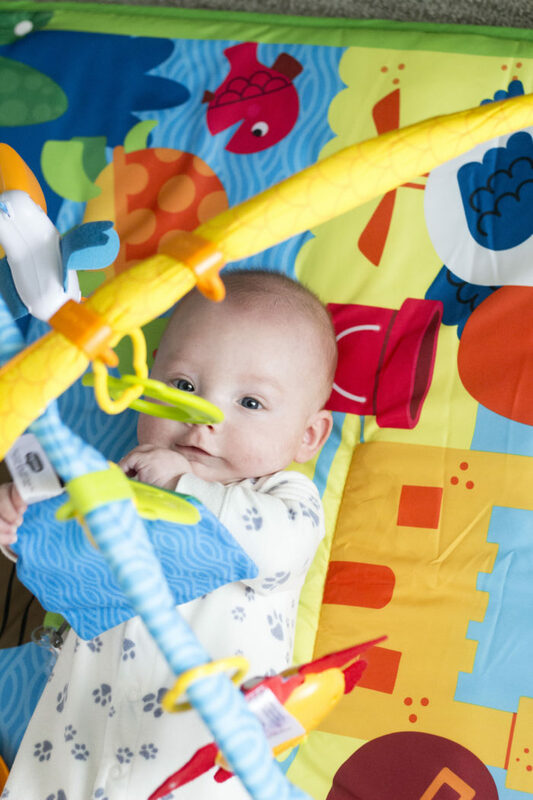 I started slee training my twins at 8 weeks and they slept through the night until week 11! Now they are back to the middle-of-the-night feeding!!! Did I start too early?!? Is it just sleep regression? When did you start this system with your littles? 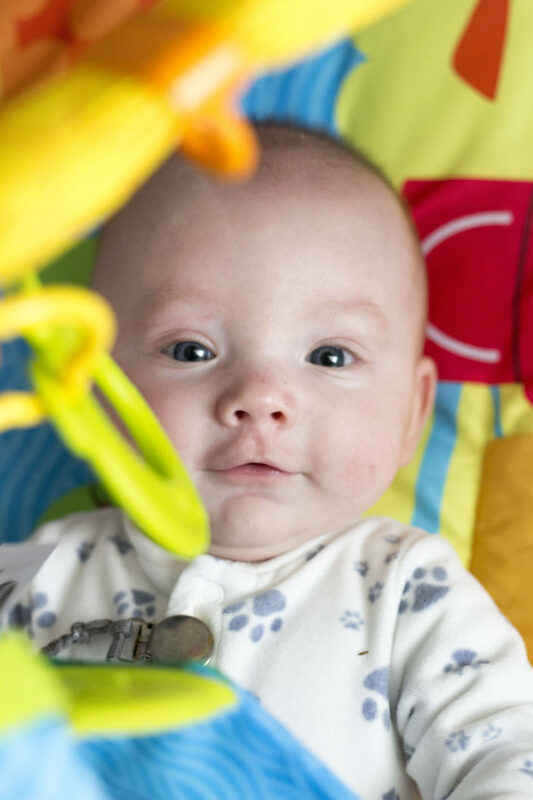 If you started early, did you notice any points where they wouldn’t sleep through the night? Do you mind answering when you sleep? What time to you go to bed? What time do you wake up? This is something I need to improve and am always looking at what other mamas do. I try to get to bed by 11 or 11:30 and I wake up between 7 and 7:30. I try to read before bed because if I watch TV or something, my brain is still going too fast and I can’t sleep well! I’m trying to get into a more relaxing nighttime routine. It literally changed my life! My husband and I were such zombies for the first three months of my twins life! It was so hard and I was so emotional, it saved my sanity! All moms struggling with this need to give this book a try! Amen, sister! 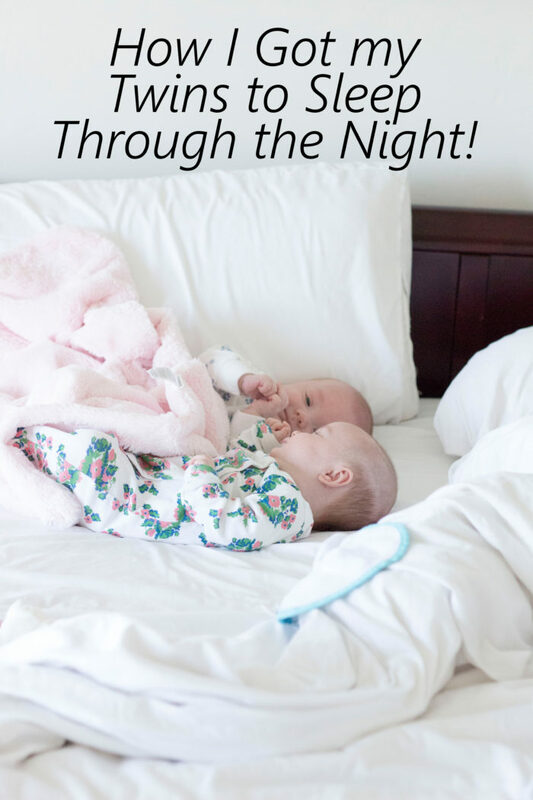 I completely agree; we get a full night’s rest and we are such better parents because of it! What age did you start sleep training? 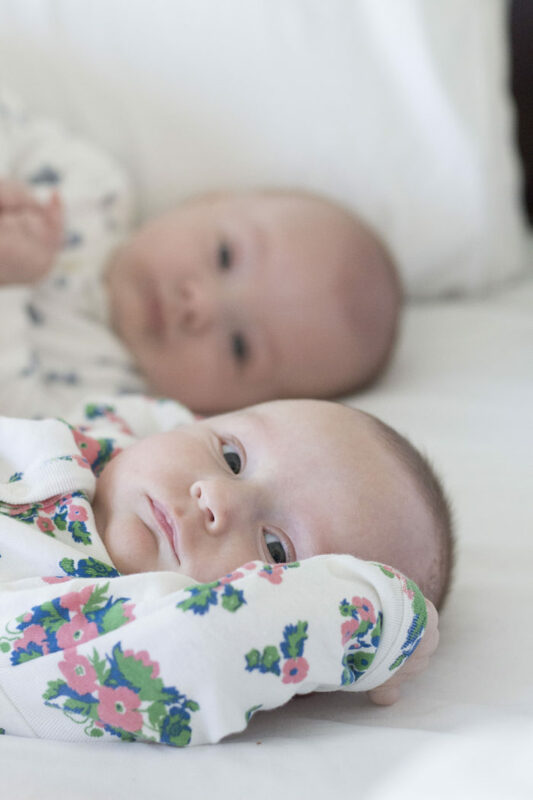 Can you elaborate a bit more on how you did with sleep training your twins? I am planning on reading the book, but what was your take on how it went? (I.e. 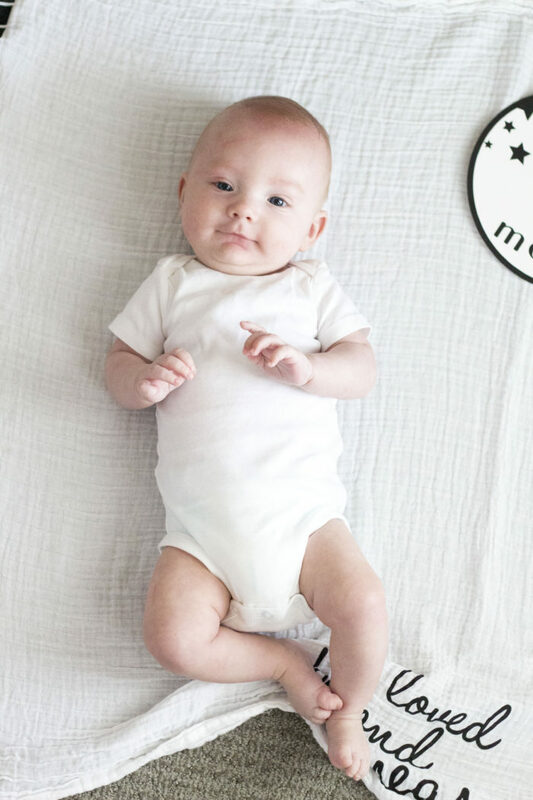 How many days did it take for them to adjust, when did you begin, how their schedules were before the sleep training) we are currently struggling with nap times (going only 45mins- 1 hour, 3-4 times per day) and my 4.5 month old still wakes up 1-2 times per night. I am planning on sleep training him next week. I’m struggling so badly with sleep and am just looking for a little more guidance from someone who just did this. Hi! They ate every 3 hours during the day so I started there and stretched out their feedings during the day. I didn’t do consistent nap times before, they just slept when they wanted, so one day I just decided to have 10 am and 2 pm be their nap times and they loved it based on info that the book gave me. This book goes into detail on what to do, I promise it’s worth a read because it will give you a lot of detail that is super valuable! Thank you so much! I couldn’t agree more! 🙂 It’s such a lifesaver! Jenica, how old were your twins when you started implementing this book? My twins are almost 5 months. I have read the book a few times and I have my twins on a 4 hr schedule with bedtime at 7 and wake up at 730. but they are still waking to eat once a night. so I started the process that the book suggests about slowly reducing their night feed and never letting them go backwards on the time they eat..but I’m struggling to get both twins to make it to the 3 am time that they set earlier in the week. Do you have any tips on how to extend their sleep times? Also what happened when you reduced the bottle amount to .5? Did they freak out about the small amount they were eating ?? Thanks any tips will help! My one big tip that worked for us is going in to their room and putting their binkies back in their mouths. That helped them stretch to the next feeding 🙂 Binkies helped with both situations for my twins! So happy to read from such a popular person as yourself. At 7 weeks I also started to sleep train my twins after getting almost no sleep night or day. A friend told Me about a book about it. I wasn’t familiar at all with sleep training/ scheduling feeding so they could sleep through the night. It changed my life. I’m also not a person that functions well on no sleep. However I have had the attached parenting moms make me feel like a terrible mom for sleep training. Kudos to you a mom of twins and being honest that you need sleep to be able to Be a good mom. I love reading about you and your family and darling little twins. Twins are such a special Blessing. Hi Jenica! It’s amazing what you have got with two babies!! I’m impressed, seriously. I have a 5 month old baby boy and he use to sleep about 10 hours in the night but he still ask for a bottle after the first 7-8 hours of sleep. Do your twins have any bottle in the middle of the 12 hours? If not, so you have any advice for me? Will this work for older babies too? Mine is 10 months and we need more sleep! Do your babies lose their i lies and wake up wanting just that? That’s my grandbaby. She sleeps from 7:30 until 5:00 then she wakes and wants her pacifier. If you go in the room and give it to her she’s right back asleep. Does the book address anything like that? Mine do that! As they have gotten older, they are able to put them back in themselves sometimes which helps. The book doesn’t address this unfortunately! Hi Jenica! 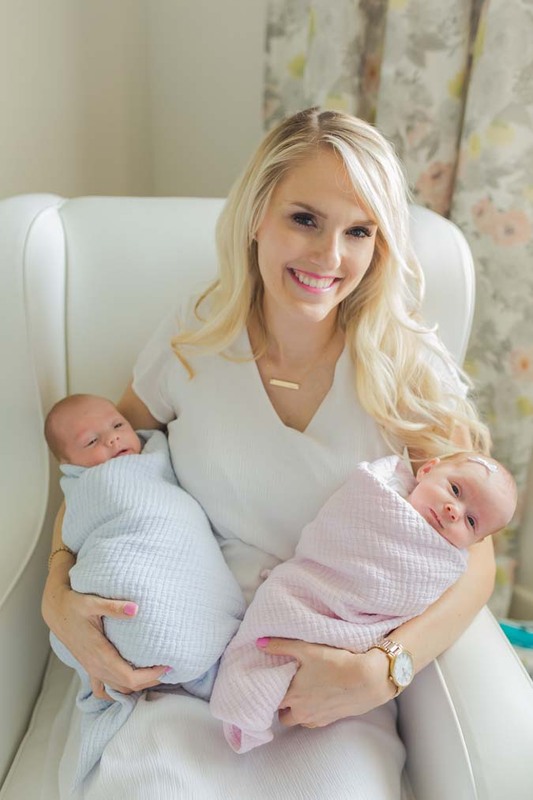 Your twins are adorable and you’re such an inspiration to all mamas, especially to me (a fellow new twin mama). My twins are 3 months and I’m considering using this book to get them in a better schedule. I’m losing my mind with the lack of sleep! My question is – do you feed your twins one at a time or at the same time? How do you schedule them if you feed them one after another – always the same one first? I’ve been feeding mine one after another and I feel like I get such little playtime this way before they want to go down for another nap. Maybe this book will help with increasing their awake time? Thank you! Thank you so much, Elle!! Yes, this books helps a lot with that! They take two naps every day. I feed Harris first, then Goldie right after. I promise this book will make you so happy. It’s really easy, not the cry it out method, and the twins took to it so well. Wishing you all the best!! Hi, Jenny! In this book it says you shouldn’t start training them until they are at least 9 pounds and eat 24 oz in 24 hours 🙂 This book is AMAZING!! I promise it will help a lot!! Wishing you all the best! Marissa – I am thinking about you and praying for you!! I will definitely vote for you. xoxo so much love to you! Thank you so much for recommending this book. You were right I finished reading it in couple hours 🙂 and it’s very easy to read. 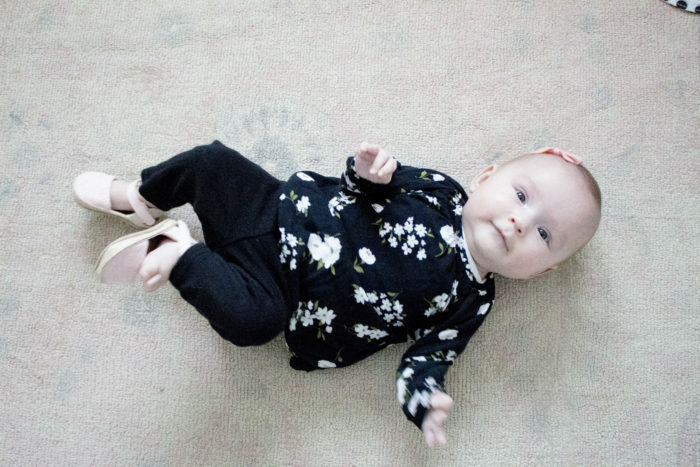 My baby girl is 15 weeks old and does meet the starting requirements. Currently she sleeps from 7 to 2:30-3 am for a feed then wakes up again around 6 am (not too bad). Can I ask you how long did it take u to train ur babies (there was a mentioning of about 2.5 weeks for weaning the night feeds and then waiting for 2 weeks after that to start day nap training ; I am thinking it may take shorter in my case since my baby wakes up less than 3 times? Also, My baby will be going to daycare next month and there was a small section in the book about sticking to their routine during the day; which most likely means deviating from the four hour schedule. Any suggestions ? I’m glad that it’s helping! It took us about a month to get them on a sold schedule once we started. My babies didn’t wake up much at all at night at that point. I’m not the best at deviating from my schedule because I’m always home with my babies! I would say just try to stick to as much as possible but don’t stress when you can’t because that’s life and stressing won’t help. Im just curious, did you sleep train your kids in their cribs in their own room or did they sleep in your room? Hi! I sleep trained them in their cribs 🙂 They slept in our room the first 2 or 3 months and then when it was time to sleep train, we started having them sleep in their own room. Did they share a room or did you split them up in their own rooms? I’m currently torn as my boy gets woke up because of his sister. Hi…reading your blog. Can you provide me with the correct title and author of the book you are referring to? I am unsuccessful in my search. Thank you! My twins would sleep though the night in their own room until 6 months and then the teething started so we let them sleep in our room. (We had some rough nights and we were getting desperate for sleep!) Now they are 9 months and we are trying to get them down for the whole night in their own room again and it’s super hard. Did this go on and off for you too? Is it too late at 9 months to use the strategies from this book. I might try buying it but was wondering what your thoughts are! Hi, Patti! Once we transferred the twins to their room, they have always been in there, so I can’t relate to this experience particularly BUT I would definitely say that this book could help. It has great principles on helping them fall asleep independently. This book changed my life and I love it!